Posted by Jonny Greenwood on 12/26/2018 12:26:06 AM. Many people love playing games and apps on tablet like Kindle Fire, but have you ever thought that you can also play games and apps on e-ink device like Kindle Paperwhite? 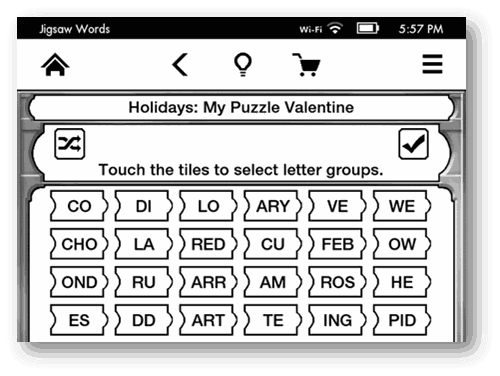 For e-ink device like Kindle Paperwhite, the apps and games are called "Active Content". 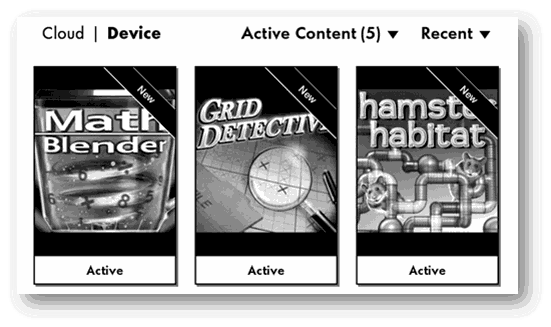 In one sense, "Active Content" equals "apps" for Kindle. Where to find the active contents (apps&games)? Just search "active content" on amazon.com where you can get them. Or you can also visit this post on our blog, which collects top 5 free Kindle apps and games. The simplest way is like delivering purchased books to Kindle. On the right side of the product page, choose which device you want to deliver this app to, then click "Buy now with 1-Click". Connect your Kindle Paperwhite to internet, then the app will be pushed to your device. If you have problem in receiving the app on Kindle Paperwhite, you can also download the app to your computer then transfer it to your Kindle device. First please go to "Manage Your Kindle" page, and you will see the most recently purchased items, where the app should be displayed. 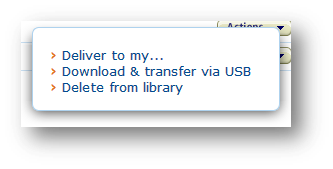 Then look at the right side, and you will find there is an "Action" button, click which then choose "Download & transfer via USB". 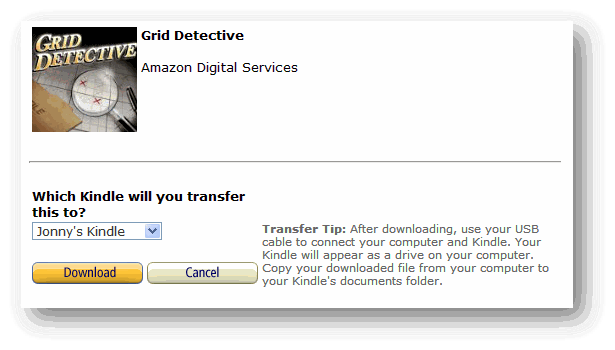 Choose which Kindle will you transfer this item to. At this list your non-eink-Kindle will be not choosable. Then click "Download", you will get an ".azw2" file. Now plug your Kindle Paperwhite to computer, there will be a removable disk called "Kindle" showing up in your local computer. Open it and transfer those .azw2 files into the "document" folder. 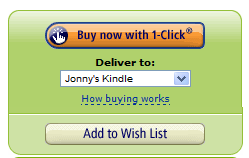 Now eject Kindle from your computer, and choose "Active Content" (which equals to "app" for e-ink Kindle) in the list below the cart icon. In this collection you can see all the apps which are installed on your Kindle. How does it look like when playing games on e-ink device? Here it is. Why my Kindle doesn't accept the active content? First you should make sure it is "active content", not an "app". If it is indeed an active content but you can't install it on Kindle, then you should check if this active content is supported by your Kindle. In the active content information page, you can see "Available on these devices" below the price, click it you can get the list containing all the Kindles it supports. Great info. It seems I cannot download the Cleveland Plain Dealer to my new paperwhite without getting a second subscription through the amazon store. They apparently have no active content apps available for newspapers. It seems there is no easy way. Any ideas? First of all, you'd better make sure whether the game is available on Kindle. Just want a sign making app for the airport! Would buy a Kindles in bulk if they would make this ONE simple (and obviously needed?) app! The whole Premium sedan/Chauffeur industry would buy in bulk if SOMEONE would do this. Is there a workaround or an app I'm not seeing that would enable this? E.G. "XYZ Limousines Welcomes Mr. Smith"
Can I install APPS on kindle ereader/kindle 8th generation or kindle paperwhite??? Apps like "moon+reader". This is the best app for reading on android. I'm traying to read in my smartphone with the "amazon kindle app" but it doesn't have all the features "moon+reader app" has. So, is it possible to install moon+reader app" .apk on kindle paperwhite/ereader??? It seems like we can't install Moon+Reader on our Kindle paperwhite and Kindle fire. It's for android devices. Though we can download it from amazon app store, but I can't understand why amazon put it here!